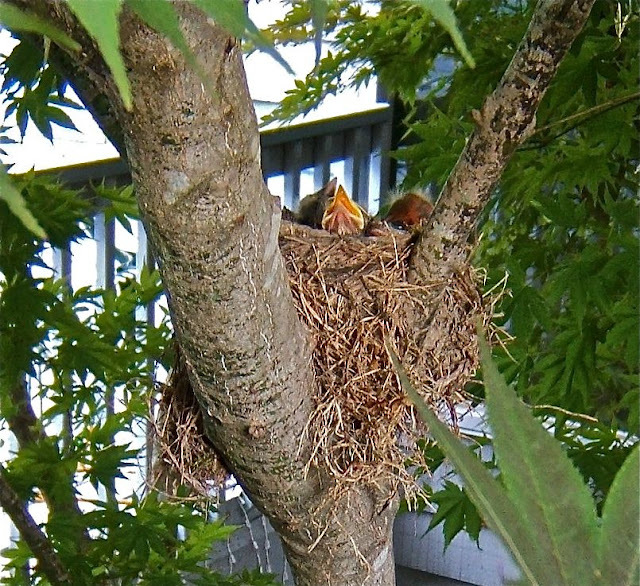 The baby birds in the Robins nest built in the tree top just off our upper deck were first seen several days ago. We saw two. The parent birds are upset when we're near. Both were off looking for food so I could get close for this photo ... and there are three little hungry mouths in that nest. ...and I'm still working to get the effect I have in my mind's eye. At first glance I thought it was a picture of the sky through your window!